There was a time when buying things actually required leaving your house, but those days are long gone, and now it looks like Google Assistant could be aiding our pursuit of ever easier ways to spend money. XDA Developers has found evidence of an incoming payment service in a teardown of the latest beta version of the Google app, hinting that the functionality could soon be coming to Google Assistant. 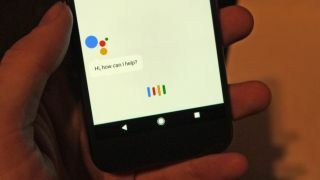 The specifics of how it will work aren’t clear, but strings in the code suggest you’ll be able to select which Assistant-enabled devices are authorized to accept payments, meaning that as well as your Google Pixel phone you may also be able to pay for things using the voice-controlled Google Home or anything else with Assistant baked in. But it needn’t be limited just to voice controls either, since the likes of Google Allo let you type to talk to Assistant, so, as The Next Web points out, you could be chatting with a friend on Allo about clothes or other products and use Google Assistant to find and buy the item without ever leaving the chat window. And Google already allows for contactless and simple online payments via Android Pay, so much of the infrastructure to allow payments through Assistant is likely already in place. In fact, it's easy to imagine a future where all the same sites that accept Android Pay one day accept Google Assistant payments too. All that said, while there’s undeniably evidence of a payment service coming to Assistant, plans do change, so there’s still no guarantee it will happen. But with some of the code already present in the app we’re likely to hear something official soon if it is coming.